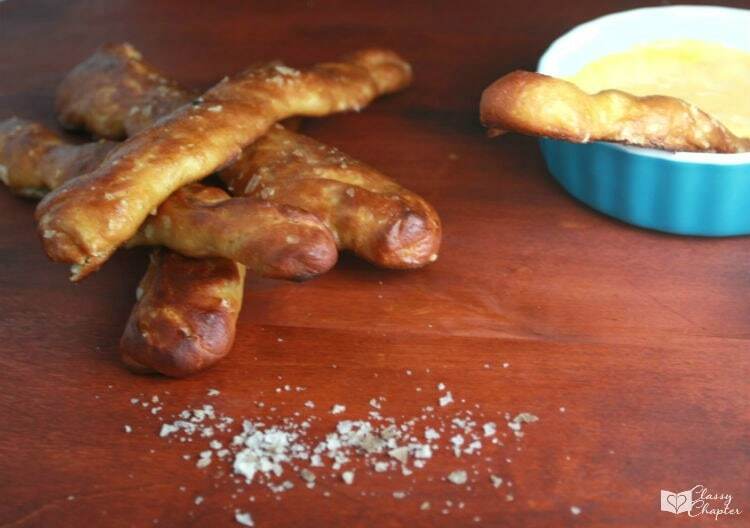 This homemade pretzel sticks recipe is so amazing! This one is going on my list of easy home cooked recipes! These pretzel sticks were inspired by a recent date night my husband and I had. We were at Applebee’s and ordered their beer battered pretzel sticks and they were really good! My husband told me to figure out a recipe as spending $9 for 5 pretzel sticks was not going to cut it on a regular basis. 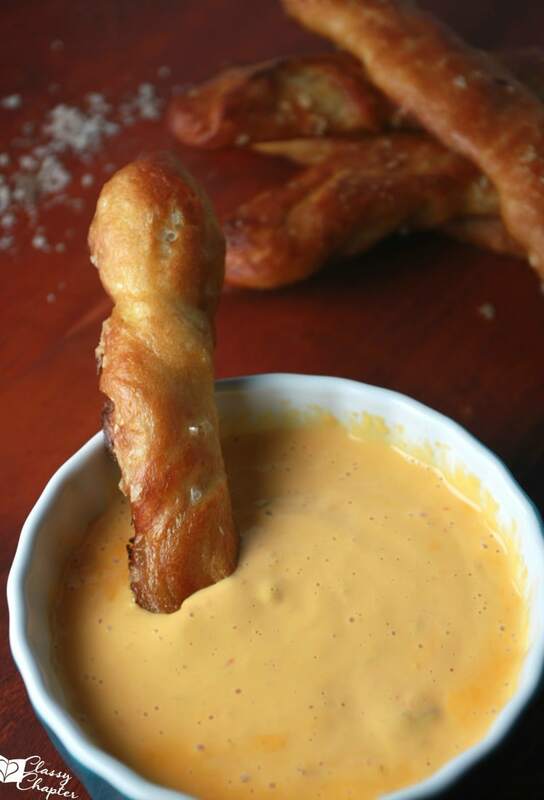 We had our pretzel sticks with some store-bought Queso Cheese. You can make homemade dips easily enough but I was so burnt out from cooking all day, it was nice just to open up a jar of cheese. 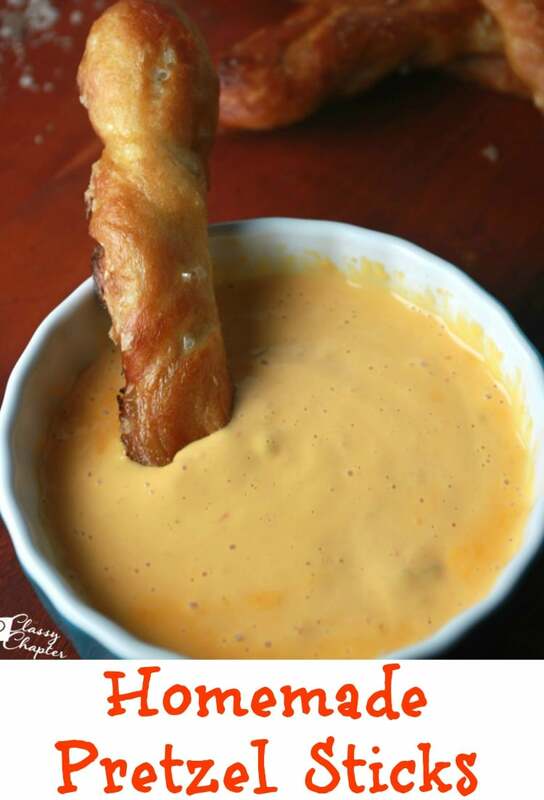 You can also serve these pretzel sticks with mustard or create your own dipping sauce! In a large bowl combine 2 cups of warm water with brown sugar and mix well. Once the brown sugar is dissolved add yeast and let set for five to ten minutes. You want the yeast to start foaming slightly. Mix in vegetable oil and 2 cups of flour. The dough will be pretty sticky at this point. Add in 3 more cups of flour and knead by hand or in a mixer with the bread dough hook for 3 to 5 minutes. Transfer dough to a well-floured cutting board and knead until the dough is very smooth and workable. If more flour is needed add in 1/4 cup at a time. Place your dough in a lightly oiled bowl and cover with plastic wrap or a damp kitchen towel. Let your dough rest for about 45 minutes. It should double in size. Prepare 3 cookie sheets with a light coat of vegetable oil or olive oil. Remove dough from the bowl and return to a well-floured cutting board. knead the bread for about 2 minutes and then punch down to make flat. Cut the dough into 20 pieces and roll each piece into the shape of a pretzel stick. About 9 to 10 inches long and about a 1/2 inch wide. Let the pretzel sticks rest on the prepared cookie sheets for 30 minutes. Make sure to leave about 2 inches in between the sticks. In a large stockpot add 8 cups of water and 3/4 cup of baking soda. Bring to a boil and then reduce heat to medium. Place 3 to 5 pretzel sticks in the water mixture, turning once. You only want to keep the pretzels in the water for about 30 to 45 seconds. Let the pretzels drain on cookie cooling racks for a few minutes then return to the baking sheet. Once you have dipped all pretzels into the water mixture you’ll make your egg wash with one egg and 1 tbsp. of water. Brush your pretzel sticks with the egg wash and sprinkle with salt. You can use sea salt, Kosher salt or Maldron salt. I personally prefer Maldron salt as it’s nice and flakey. Cook pretzels for 10 minutes, turning halfway through the cooking time. Serve warm and with a dipping sauce of your choice. 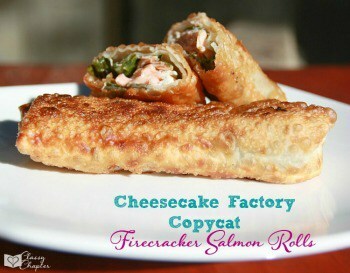 If you enjoyed this recipe make sure to check out the recipe below! these look so great!! i have yet to attempt making my own pretzels, but may have to give these bad boys a try! pinning 🙂 stopping by from the tickle my tastebuds link up-excited to connect and check out more of your recipes and posts! Oh I am so glad I found this recipe. (found it by browsing the dip recipes). They look so yummy. I have to try this. I think my kids will love them too.